We now have Photos from the 2004 Event. Basically to do the same as we did last year. Sit on a hilltop checkpoint, and stay overnight. Have a barbecue, admire the scenery, check in the occasional passing walker. It is a good excuse to camp on top of a hill. It is in the Yorkshire dales between Hawes and Ribblehead. We are doing Snaizeholme checkpoint again. The Fellsman people have asked us to run it again. So it is all definitely happening. Also, if we have enough people to carry then it is also fun to make something funny to amuse the walkers. Last year we had a huge flag pole and kids TV music. We have to have the checkpoint open by 1400 on Saturday. This means being in the area for about 12:00 so giving us plenty of time to walk in and find the place. It is about 40 minutes walk downhill from the track at cam high road. 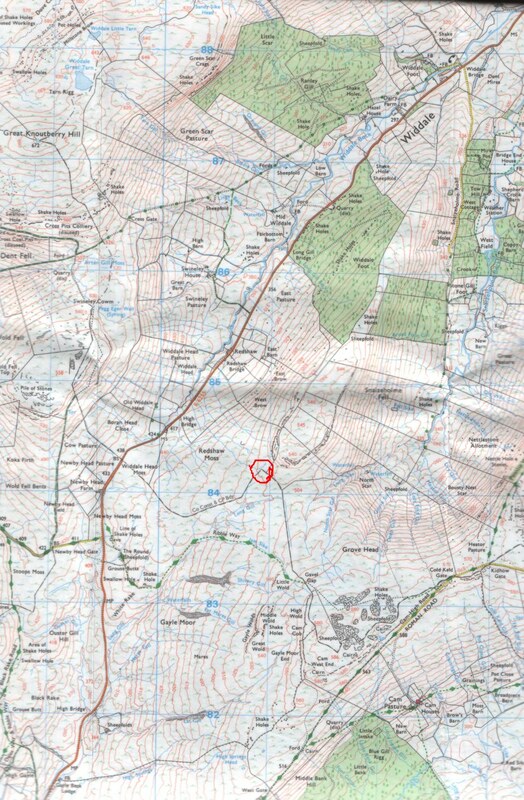 The plan is the meet near to CAM houses (if same as last year, then a bit past the radio base) at about 1200. Last year, the final walkers went past around midnight, with the sweep team about 0100. To pass the time, there is beer, food, fun, going for short walks. Then we stop the night and walk off when we get up on Sunday morning. Bring a packed lunch with you for lunchtime. We will work out cooking, transport and sleeping arrangements and stuff nearer the time when we know more about who is coming. Lots of warm clothes are essential. There is room for as many people as want to come. We need to know before so that you can get fed and so there will be enough tent space. You need to get yourself there. If you need a train pickup (Leeds or Skipton) then let Tim know. We may get lots of glorious sunshine with amazing views across the valley, or we may get 16 hours of horrendous weather sat inside the tents. Lots of warm clothes, including warm hat and gloves. Mug, plate and anything else you want to eat with. chocolate and any other nibbles you want. A space in a tent - arrange to share unless you are feeling really strong. All in a rucksack so you can carry it.